EduCare Nutrition is dedicated to providing comprehensive nutrition counseling and workshops for your wellness program. 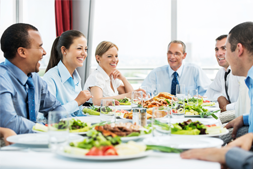 Nutrition is the most valuable part of a corporate wellness strategy. The dietitians at EduCare Nutrition can help your employees maintain good health and prevent chronic disease. A single chronic condition, such as diabetes, can affect the cost of health care for an entire benefit program. Our program is designed to assist employees with chronic medical conditions by improving their health through education and counseling. We will encourage your employees to make better lifestyle choices resulting in improved health. The company will enjoy an increase in employee productivity, reduced absenteeism and improved morale. EduCare Nutrition Experts lead small to large groups, as well as provide individual sessions that will educate and inspire employees to make healthier and wiser choices about their diet. Our experience and extensive training will provide the most complicated employee a customized plan that takes into account specific medical concerns and lifestyle needs. The education provided is evidence-based and will help establish health goals for all participants.